By now, everyone in photographic circles has heard of the reclusive Chicago nanny who died in 2009 at the age of 83 and who, from the '50s to the '90s, photographed street scenes, sharing the images with no one. She had an uncanny knack (which can only be gained from years of experience) of capturing those subjects which would best serve as time capsules of her environment. Her subject matter was that everyday ephemera which we mostly ignore, because it is ... everyday. But it is largely those things which we take for granted, that best sum up an era. A Vivian Maier website is now online. 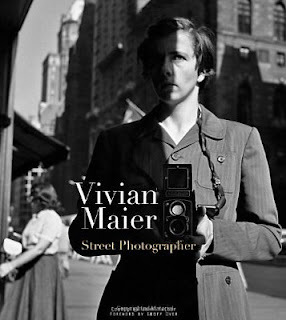 Today, DP Review posted a review of Vivian Maier Street Photographer. The New Zealand online store, Fishpond, does not yet have stock, but does have a page for the book. I just love this work, I discovered it myself just the other day. The era was captured so perfectly, couldn't do it today of course. No, but you can capture today - which, in another few decades, will be just as distinctive. Every time and place is unique.